and the albums themselves sometimes come up for sale on eBay and various rare record sites and auctions on the Internet. Prices vary widely, so it pays to shop around. Amazon.com, iTunes and Kazaa have some of Terrea's music available for download or as demand published CDs, but they are doing this without Terrea's permission (or knowledge, until I told her) and she gets no royalties or other benefit from those sales. At this time, Terrea and some of her friends (including me) are considering what legal action to take with regard to that. So far as I know, thegarret.info is the only Terrea Lea oriented web site on the Internet. She also has a couple of listings in the Internet Movie Database (under Terrea Lea and Terrea Lee) detailing the various TV shows and movies she's appeared in. Beyond that, I'll answer what questions I can and can always check with Terrea herself if you ask something I don't know. Haven't looked in on you lately - are you and Terrea O.K.? Just like to say hey to all who come here. The memories are still so vivid. Thanks to all who made this place so magical. Reading and re-reading every comment by all the guests and then the original content posted by Jerry, has touched deep feelings within me. The Garret experience and Terrea's music had very strong influences forming my values and identity as I moved through adolescence into adulthood, circa 1963 -1970. I cherish this sight, having just found it, as I have always cherished those nights at that little club on Fairfax. Sights and sounds have been well described, but also there was the impromptu wit and wisdom of Terrea between songs, as she read notes and requests sent up to her,(I always begged for "Mariah" or "The House of The Rising Sun,") and the running comments she made as changed and tuned her guitars. Thanks to everyone who has posted, to the Webmaster for rekindling the glow, most of all, thanks to Terrea Lea for her lifelong impact. Want to say hello to gorgeous warbler Terrea! Want to say hello to Terrea! It was wonderful to find this site. I loved the Garret and Terrea Lea and her music. 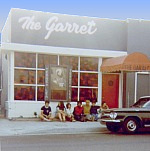 I have wonderful fond memories of the "Garret". I used to go on weekends in the mid 60's. I loved the song "The Lovers" and bought her album with the song on it. Over the years I lent it out and never got it back. I was sorry to see that "The Lovers" was not included in the cd you are selling. Will there be more cd's available? I would love to get it on cd, Terrea sang the song beautifully. Thanks again for the Site and I will always remember Terrea Lea and the Garret. Loved the special coffee drinks and having a place to go as a person under 21. And the folk era was the best! Apologies for the brief interruption in Guest Book operation. Our site host, Go-Daddy, appears to have been fiddling with some PHP variables and constants. Since you're reading this, I've got things going again with a stopgap fix, but will be looking for a more elegant solution in due course. I worked at the garret house around 65-66. I had a lot of fun and still listen to Terrea music. After 45 years I still find myself humming "C'mon In". At 17 the Garrett was my intro to hot mulled cider, tabletop candles, and a lifetime of trying to improve my finger picking to even try to emulate Terrea. My aforementioned earworm sent me on a Google search that landed here. Amazing! The days and years surrounding evenings at the Garret (my youngest son's middle name, by the by...neither my wife nor he will ever understand) may not have been the absolute best time of my life, but certainly rank high and extremely memorable. Re: The sample music player. Sorry, it's not ours. That software belongs to Caf� Press. If you have a problem with it, please let them know. The more complaints they get, the more likely it is to be fixed. You sample player does not work. Tried listen to some sample songs and it would not play. Thought you would want to know.